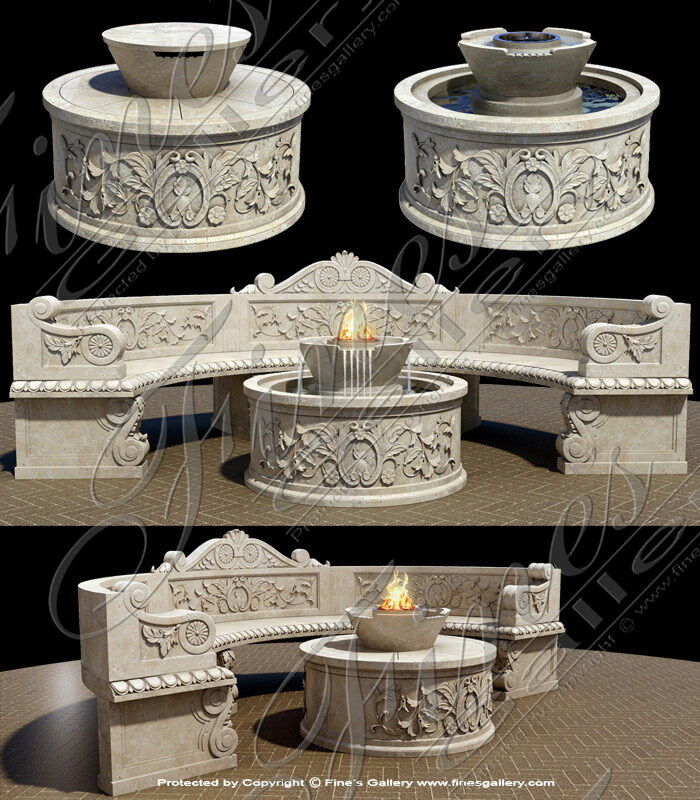 A stunning marble fire pit and fountain feature custom designed by Fines Gallery of Bonita Springs, Florida. Please call us for all of the options that we offer at 1.866.860.1710. Absolute Black Granite Fire pit. 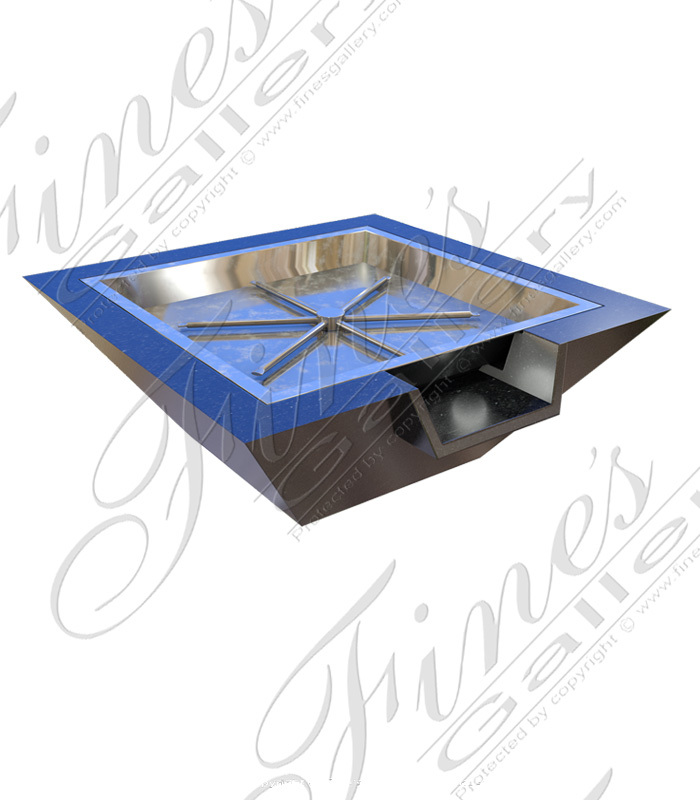 Includes stainless burner. Also acts as a water feature. Very popular poolside feature! 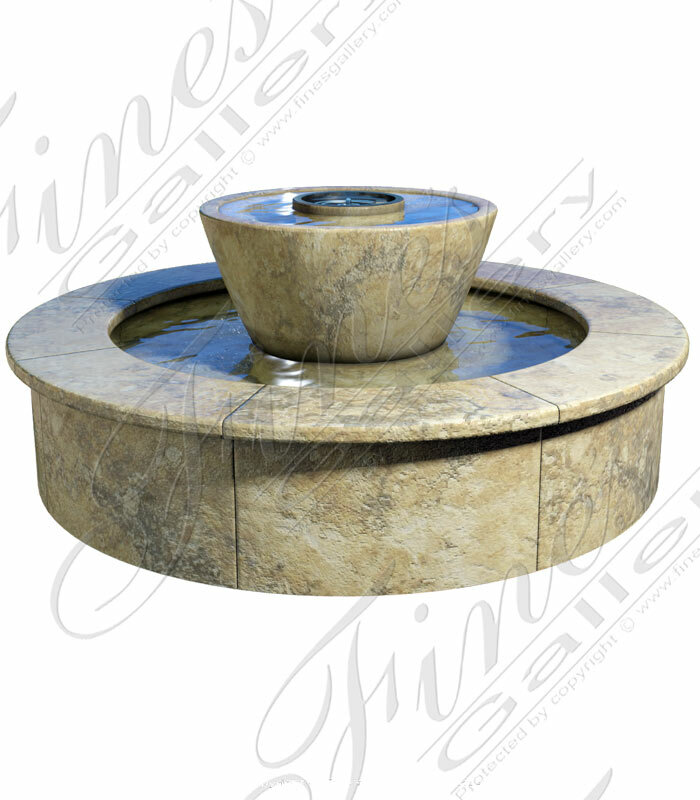 This natural stone travertine fire pit and fountain is amazing way to entertain your guests. Enjoy the sounds of running water and the visual effect of the gas lit fire while you seated on the edge of the basin. 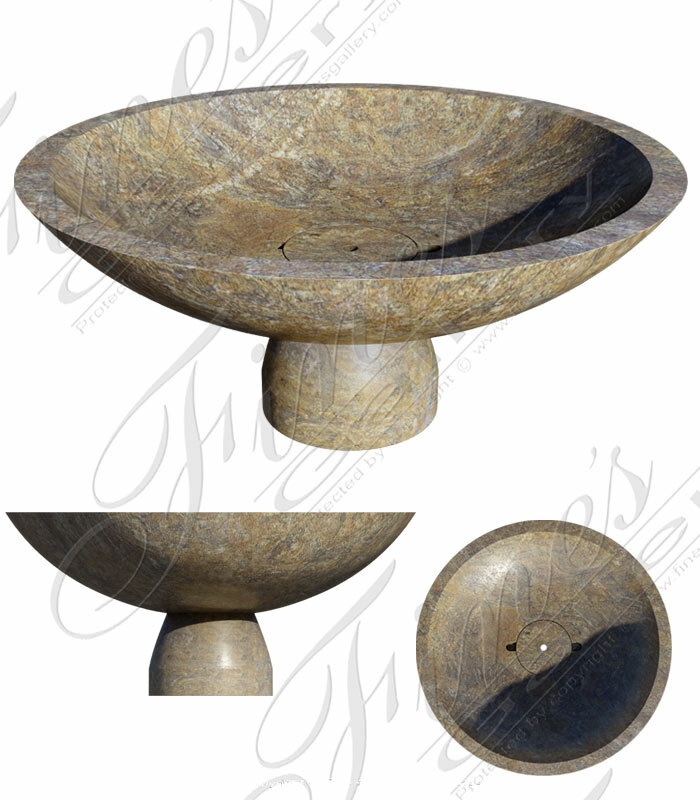 This modern granite fire pit is carved from two solid blocks of a beautiful earth toned granite.